For a place that is mostly made up of hills and fields, you wouldn’t think Uig Beach is a destination worth visiting. The name “Uig” is a translation of the word “Vik” in Norse language, which means “a bay” in English. What makes Uig Beach famous among tourists is the history that the place has. According to scholars and locals, this beach is where chess pieces from the 12th century were found. But these chess pieces are not like other chess pieces found in caves, forests, and islands. Instead, the pieces are said to have been in existence way back in the medieval times. Another name for Uig Beach is “Sgir Uig”. So when you find yourself in Scotland and are wondering where to find the Uig Beach, simply show this translation and you will be told where it is in Scotland. However, prepare yourself for a lot of traveling because Uig Beach is located far from the main city of Scotland. Uig Beach is located in the Uig community which is one of the four communities that make up Lewis. Lewis, on the other hand, is the largest island in the western part of Scotland. Among the four communities in Lewis, Uig also has the highest lands and has a total of 2,000 people more or less according to the most recent census. Uig Beach can be found surrounded by villages like Crowlista, Timsgarry, Carnish, and Ardroil. The most notable feature, or rather, history of Uig Beach is the chess pieces found buried in the area. These chess pieces were called “Lewis Chessmen” which was literally named after the bay where the pieces were found. There were also other gaming pieces found during this discovery. However, if you plan on visiting Uig Beach to see the original chess pieces, you will be dismayed because most of the pieces are found in the British Museum in London, while the other remaining pieces can be found in the National Museum of Scotland. What you will see in Uig are replicas of the chess pieces. Aside from beaches, you can take a trip through the towns in Uig. They are filled with community shops and restaurants that will help you get used to the culture in Uig. There is also the Uig Heritage Centre where you can see a collection of Nordic history. Even though the original Lewis chessmen are not found in Uig Beach, you can enjoy doing kite buggies because the beach has winds that can help you fly kites easily. Also, the shore is relatively flat which is suitable for those who want to play sports or fly simple kites. Uig has several beaches that you can also visit. 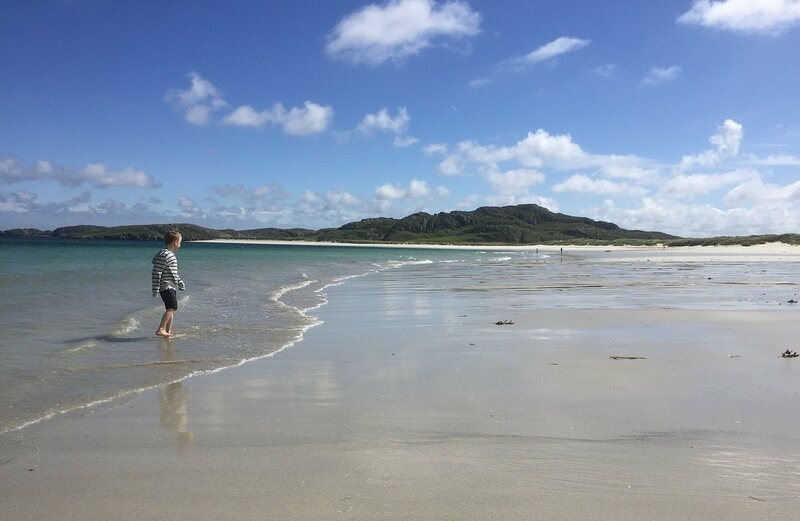 Just near from Uig Beach is Reef Beach or Traigh na Beirghe which has a long strip of white sand. This place is perfect for taking pictures of landscapes. You can also take a trip to Mangersta Beach, another picturesque beach in the southwest part of Lewis.